Great meetings and lectures as relevant as inspiring. 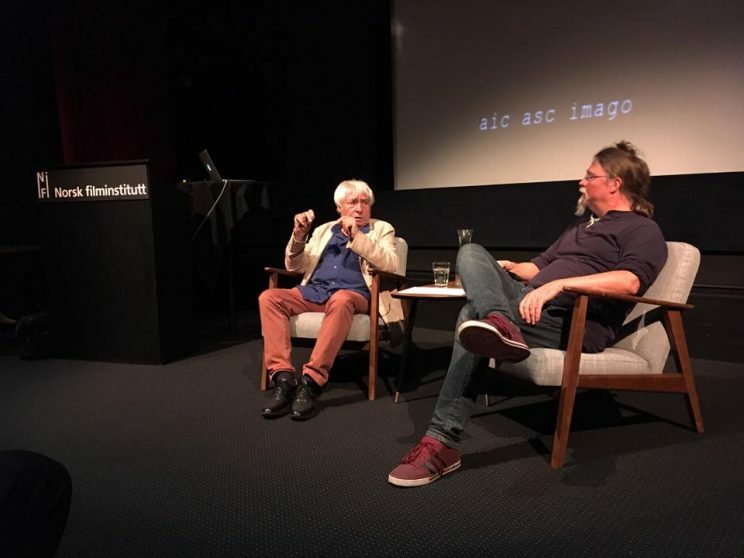 I was lucky enough to replace Kommer Kleijn at the annual imago CCTC meeting held in Oslo at the “digital cinema conference”. I will therefore give you a breaf report of my stay. The CCTC ? 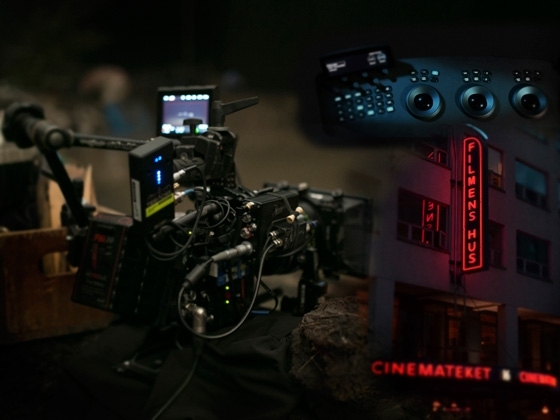 A mysterious acronym that hides a new version of the good old “technical committee” which was renamed the “Committee for Creative Technologies in Cinematography” …. It is a change of point of view and I cannot clearly see a causal link but: For the first time since the committee was created, there were three female representatives for 5 male representatives. The committee is pursuing two concrete projects. The first is the development of a list of requests to manufacturers. 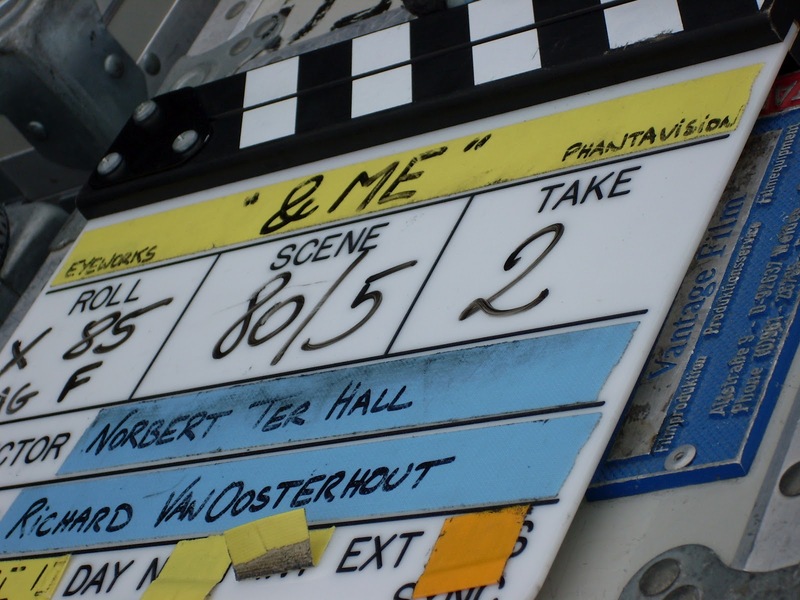 The text requires, for example, accessibility to certain settings that are currently managed internally by the camera system or by the Debayer Software in post-production. These requests will be communicated in the newsletters of imago, so be attentive because the committee will be receptive to your possible reflections and comments …. The second baby of the CCTC is the creation of an IMAGO label attributed to cinemas that meet certain criteria. These stars could be proudly displayed on their front door by the owner, and reassure the spectators on the quality of the projection. A pilot experiment will be conducted in Norway. The method proposed by the Norwegian representative is based on the active participation of the cinema owner who would themselves subscribe to the standard questions of the form drawn up by the CCTC. Depending on the answers a star will be sent to them. This method based on the honesty of the participants is very easy to organize. 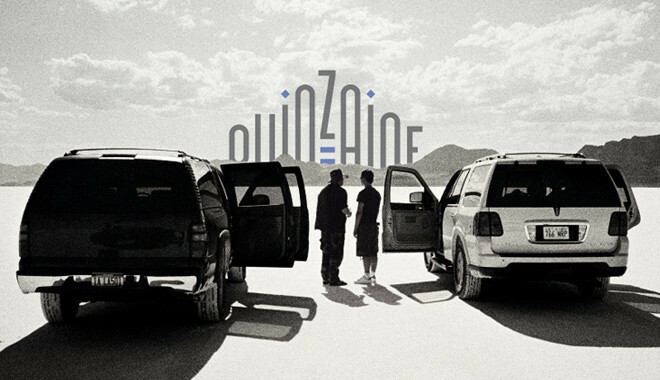 Will we be the candidates for the second round? In addition to these two concrete projects, we had a lot of very informative discussions about HDR and the new (but still distant) LED screens. 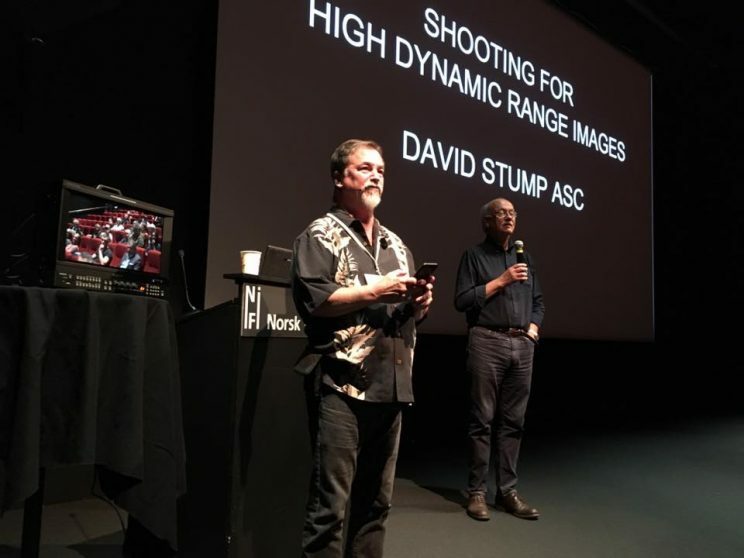 Dave Stump (ASC) honored us with his presence and we interviewed him on the work of the CSA Technical Committee and post-production habits on the other side of the Atlantic . Then the committee joined the public of the biennial Oslo conference on digital cinema. No less than 13 presentations and two master classes were held. HDR was the subject of the moment but we could also hear Jannicke Mikkelsen who told us with humor her experience in RV and 3 D on the concert of the “Queen”. The manufacturers sent their engineers as embassy. Salespeople already on their way to IBC were poorly represented, which suited the audience very well. It is therefore Dr. Tamara Seybold from Arri who told us about the management of the noise during the image processing in the camera and during the debayer-process of raw during post-production. I was particularly interested in Dave Stump’s clear demonstration of exposure and other precautions related to shooting in HDR. Luciano Tovoli and Luca Bigazzi presented their work to us during two master classes. They added the historical and artistic touch to the event. It should be noted that we were hosted by the “Oslo Filmhuis”. 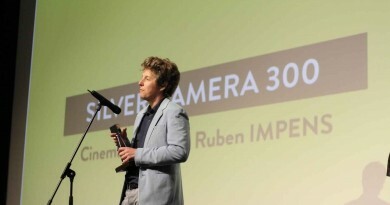 The projection gave us the best of the restored copies of the films presented by our “masters. I want to salute here the excellent moderation of his meetings. It remains me to thank Paul-René Roestad and the FNF for the quality of the reception and the relevance of the speakers choice. ← Frank van den Eeden about the feature film Waldstille.